So I have been keeping a secret for a while. 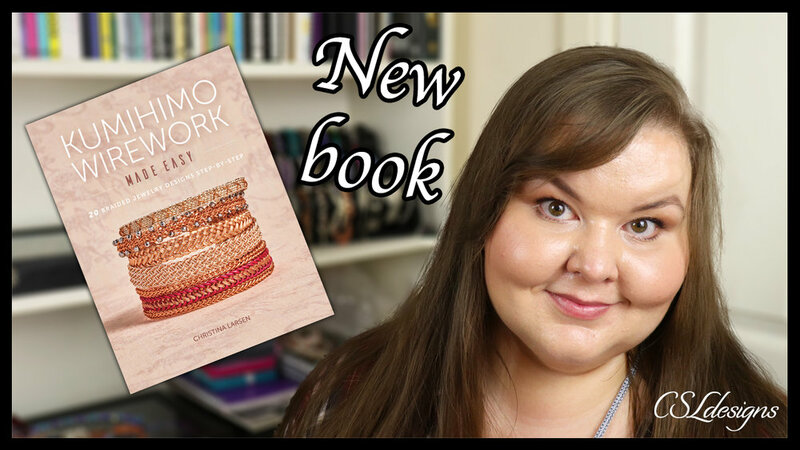 For a year and a bit I have been working on a book, and I can finally announce it. If you want to watch the announcement video and know a bit more about the story behind it, you can click picture above. 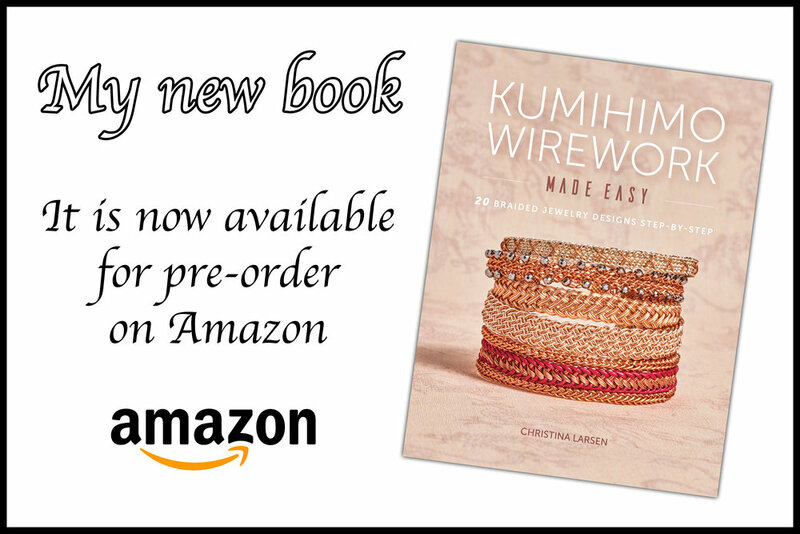 The title of it is 'Wire Kumihimo Made Easy' and you can find tutorials for 20 different designs based on wire kumihimo within the book. There is a range of difficulty levels, so wether you already do wire kumihimo or are new to it, there is something for everyone. I am very proud of this book and I really hope that you are going to like it. It is currently available for pre-order on amazon and I really hope you'll want to check it out.